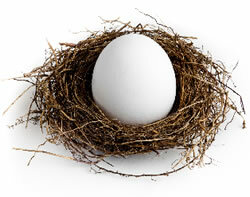 Tip: 15% of middle-aged adults are providing financial support to both an aging parent and a child. Fast Fact: Not Much. Excluding the value of primary residences and defined benefits plans, 52% of workers stated that they had less than $10,000 in total savings and investments. 22% of workers now intend to keep working until age 70 and beyond. 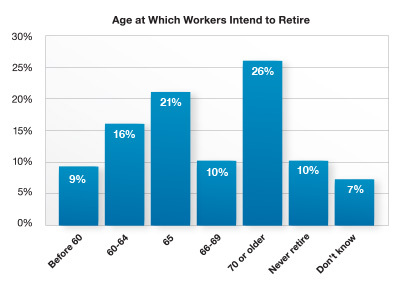 And 7% don’t intend to retire at all. Chart Source: Employee Benefit Research Institute, 2014.